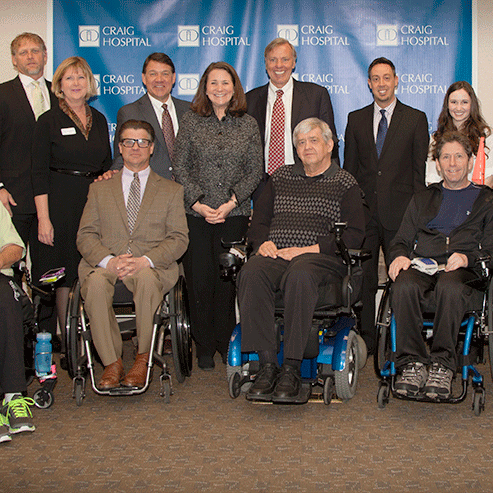 Last Tuesday, executives of the Christopher & Dana Reeve Foundation, one of HCM’s clients, met with Congresswoman Diana DeGette at Craig Hospital, a NeuroRecovery Network (NRN) site based in Englewood, Colorado. As a longtime advocate and champion for individuals living with disabilities, the Congresswoman saw firsthand the value and impact of the Reeve Foundation’s Paralysis Resource Center and NRN on the Colorado community. Throughout the course of the day, Rep. DeGette spoke with Craig staffers and therapists, as well as people living with spinal cord injury who have participated in Craig’s emerging therapy treatments. A highlight of the tour included an introduction to locomotor training: A type of therapy designed to help participants “remember” the pattern of walking while suspended in a harness over a treadmill, as specially-trained therapists move their legs. You can read the Reeve Foundation’s full post about the event on their website.